It’s that season again – and I don’t mean hurricanes. Flu season is generally from October through May. Given that the flu is easily spread by coughing, sneezing and close contact – and what gets closer than dorm life and classrooms – your student may want to consider getting vaccinated. FSU makes it incredibly easy for students and free too. All they need is a valid ID. And, because they are serious about students getting the flu shot, they have entered into a competition with UF on Wednesday, October 17th to see which university can vaccinate the most students on that day. CVS Minute Clinic – if you go on the CVS Minute Clinic website you can find the one closest to you as well as what the wait time so you don’t have to sit around for too long. The vaccine can cost between $50 and $70, but chances are insurance will cover it. Check first. And CVS will give you a coupon for $5 off $25 when you get a no-cost flu shot. Publix Pharmacy – There are at least 3 that are not far from campus. Students will get a $10 gift card just for getting vaccinated. DOH-Leon’s Roberts & Stevens Clinic – located at 1515 Old Bainbridge Road in Tallahassee. 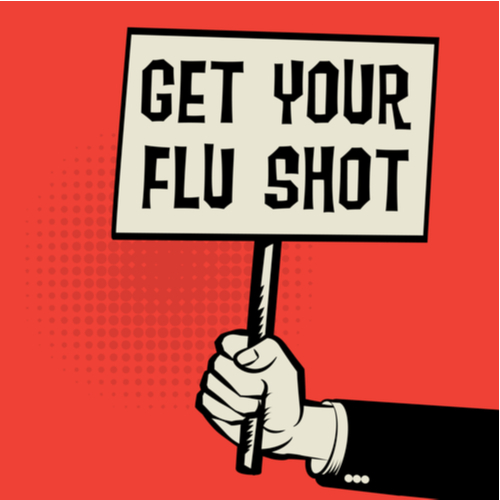 Walk-in immunization hours are Monday-Friday 8-11 a.m. and Monday-Thursday 1-4 p.m.
Winn Dixie Pharmacy – Free flu shot at no cost with most insurance plans and receive a $10 coupon for S.E. Grocers products. Wherever students go for a flu vaccine, they should stay around about 15 minutes afterward to be sure they do not have any adverse reactions. I generally am not one to rush right out and get the flu shot, but then again, I wash my hands constantly, don’t stay up way too late most nights and don’t sit side-by-side in a classroom each day. I have suggested to my kids over the years that they consider getting vaccinated, but generally, as most college students do, they choose not to. Some, like two of my three kids, just hate shots. Good news; some pharmacies carry FluMist, a nasal spray that works like a vaccine. In the end, they are college students, so there is not much we can say beyond that, but I assure you, if they got the flu, we are their first call. Of course, there was the year that a bunch of my daughter’s sorority sisters got the flu and she and her roommate panicked and rushed right out late at night to get vaccinated. There is little worse than being hours away from your student and not being able to take care of them. Here is our blog on being Sick at School. As parents, we can hope they never get sick, but if they do, the next best thing might be to send a care package to help them feel better. Check out our blog Care Packages for When They Get Sick here. Wishing all our Noles a healthy semester.